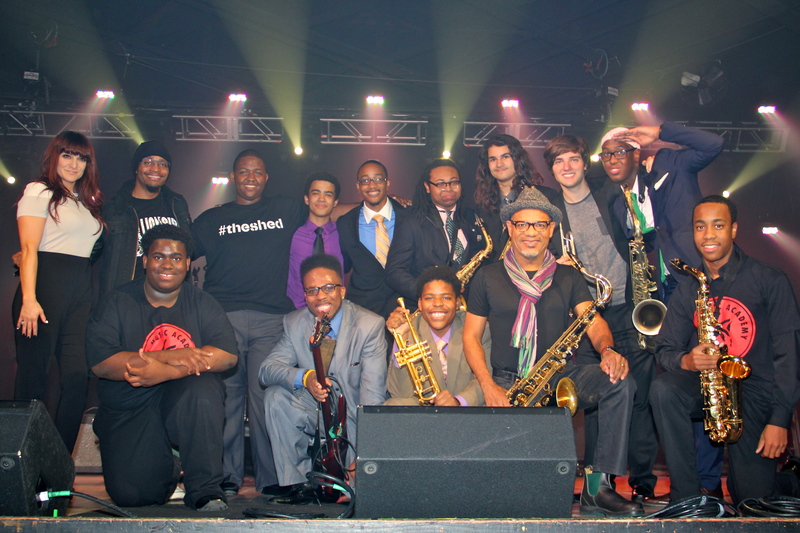 The 2103 Berklee City Music Network Conference Master Class Finale Band with clinicians Shoshana Bean and Kirk Whalum, and music director Rob Lewis. At last year’s Berklee City Music Network Conference Master Class five bands performed and were critiqued by guest clinicians Kirk Whalum and Shoshana Bean. Check out these videos of students from the Tipitina’s Foundation Intern Program, Lincoln Park Performing Arts Center, Berklee City Music Boston, The Philadelphia Clef Club of Jazz & Performing Arts, and Stax Music Academy. At the end of the master class students from each band were selected to be in the finale band, led by musical director and Berklee alumni Rob Lewis, where they performed Rufus Thomas’ “Walking the Dog.” Watch this video to see highlights from the master class and the finale band. If you are interested in performing at this year’s Conference Master Class in Los Angeles please click here for more information and to apply. Make sure you apply by July 1 to not miss the deadline! Berklee City Music Boston was the third band to perform at last year’s Conference Master Class. The band was led by Berklee City Music Boston faculty member Greg Holt and consisted of Grace Mann on vocals, Ngomane Bolden-Dendy on trumpet, Gustav Hossin-Endl on tenor sax, Antonio Shiell-Loomis on guitar, Joshua Sutherland on piano, Christoff Glaude on bass and James Doran on drums. and Lincoln Park Performing Arts Center’s Master Class Performance. Stay tuned next week for the release of a new video from the Conference Master Class, and if your ensemble is interested in performing at this year’s Conference Master Class in Los Angeles please click here to apply.